Finally a test of Optimus LG Black - P970, one of the latest models of the brand, presented at the Mobile World Congress 2011 and already present in many operators. A less efficient than the Optimus 2X or 3D, but subject to many surprises and is a very wide audience. This smartphone with a sober design, offers a beautiful display of 4 " with a beautiful light, a 5-megapixel sensor that can record video in 720p and all the wireless connectivity that can be expected on a model of this range. Processor:1GHz Single Core Cortex-A8 processor. Radio:Stereo Radio FM with RDS option. 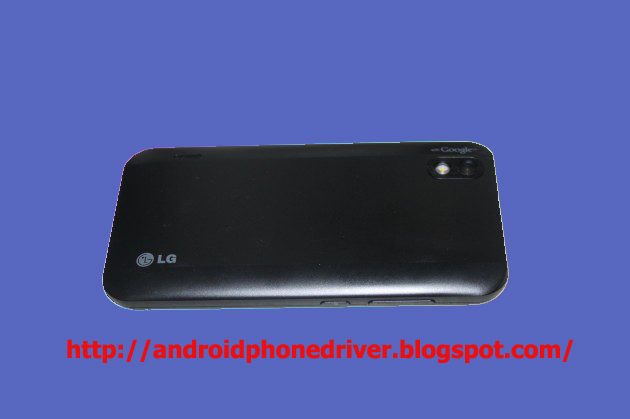 The appearance of the LG Black Optimus is sober, dressed all in dark colors: black and gray on the front on the back. 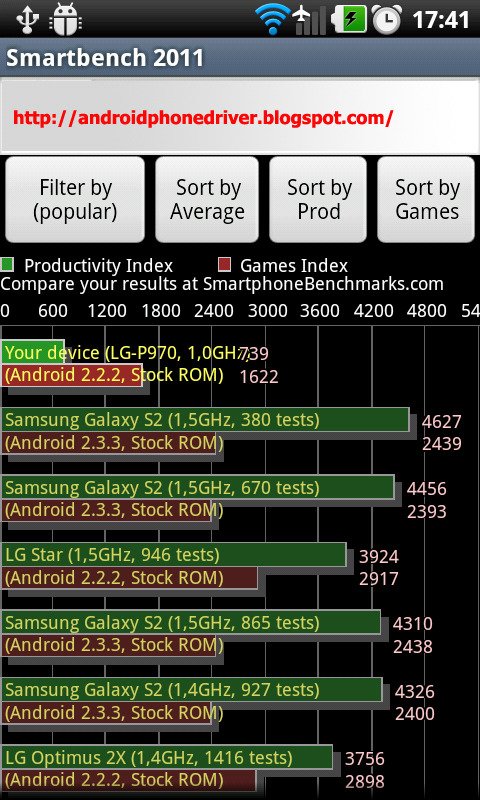 Rather late compared to other brand products, it does not, however, the sharpness of the Samsung SGalaxy II. With a large screen with a diagonal of 4 inches (about 10.16 cm), the edges of the device are slightly askew.Weighing 107 grams with dimensions of 122 x 64 x 9.2 mm. 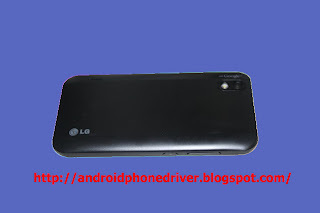 On the top of the screen you can see the LG logo on the right side of the front camera of 2 megapixels. On the bottom, we can guess the four touch buttons for Android: Menu, Home (Home), Back and Research. This phone is light for its size, although its weight and fineness do not reach those of the S II king in this area(including LG, however, trying to praise). In fact, the famous flagship phone competition is thicker than a small part, where the Black Optimus is satisfied with a constant thickness over the entire device. However, the effect isless fragile feel that the model of Samsung. The finishes are there, the materials look good. It should be remembered that these two smartphones are not meant the same customers (average against high-end), which is an important criterion. The device on his back is slightly rounded. The unit is thicker in the center on the outskirts of the latter. The back of the camera, black, contains a speaker, the 5-megapixel camera (photos of 2592 x 1944 pixels) andan LED flash and autofocus. The plastics used seem to be quality and not let themselves be easily soiled by fingerprints, which will satisfy both those who are not always careful and more manic. On the front, a black border of 0.3 mm between the screen and the edge of the phone. This edge goes to 1.5 cm at the top and bottom. Let us now review the various elements of this smartphone. On the top, it has a 2-megapixel front camera. Like all other cameras front made ​​available on our smartphones, this camera will only be useful for video chat or quick snapshots of themselves in front position mode, the application provided for the management of the camera will offer a optical zoom is effective even on the sensor.The speaker is located on the notch thinner at the edge of the edge of the screen on top. Less than 1 mm for thisspeaker ... you worry at the telephone conversation, the rendering is good! On the bottom of the screen the 4 touch buttons standards.It has four backlit touch buttons, since the screen is on. The intensity of the backlight depends on the screen. On top, the 3.5 mm jack to plug in your headphones favorites, the micro-USB connector and the button ON /OFF. Exceeding this button relative to the hull is very subtle, 1mm. I personally did not like the position of this button and ergonomics, requiring a finger gymnastics, for example, pause the device quickly. It would certainly have been more significant, it is thicker and is on the side. On the left side, you will find the volume button and a button marked with the sign "G", which according to theuser manual to enable gestural actions without having to touch the screen. For example, you can by pressing the button and tilting the smartphone on the left or right to scroll through the various screens of the office (also known as or homescreen launcher). The utility at first seems very subtle. But in the settings, you can for example definedefine others as scrolling a web page on the tilt up / down smartphone, without having to touch the button. I invite you also see this video we made ​​at the MWC, a few months ago. 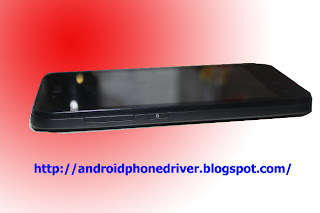 The back of the phone is made as indicated above 5 megapixel sensor and a LED flash. No effect on the glossyshell. One of the most sober gray. The video capture is limited to a maximum of 720p. The sound is really good. Especially when viewing video, Dolby applying the filter proposed in the application will provide a more realistic, especially in the bass.Below the hull, which has been raising a notch placed on the bottom of the phone, you will find the locations forthe battery, SIM card and microSD-HC (supporting up to 32GB).The side of the GPS chip, little to say. The fix was done indoors in less than 10 seconds. A temperature of 32 °and its use for 10 minutes did not seem to cut off the battery (verification by applying GPS Status). The screen of the LG Optimus Black (P970) has a screen Nova, known to consume less energy than AMOLED. 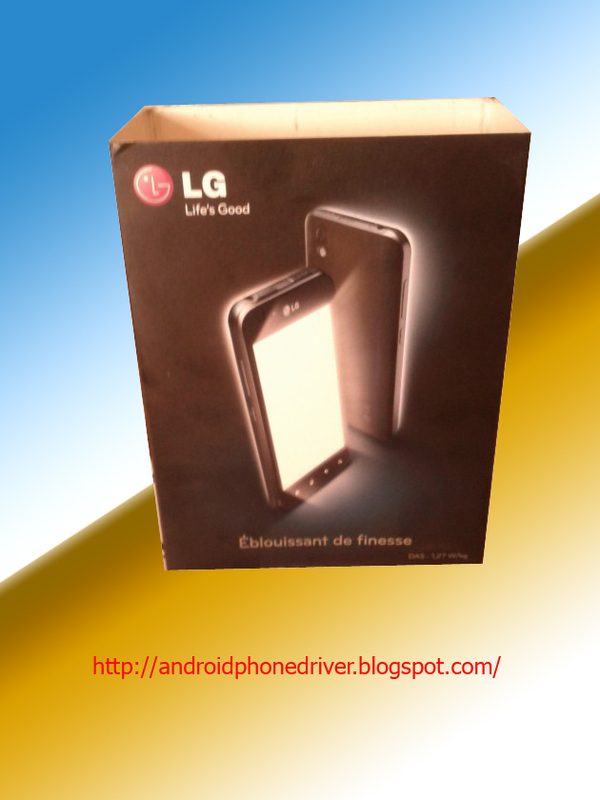 It is also said that this screen is brighter (700 nit) and has a contrast greater than can be supplied with an AMOLED. In use the screen, with a configuration for a light to half of its possibility, is really good. The images and videos have a good color rendering. A test with screen test between a Nexus S displays the difference. This screen technology still uncommon really differs in its white, which are much closer to reality. 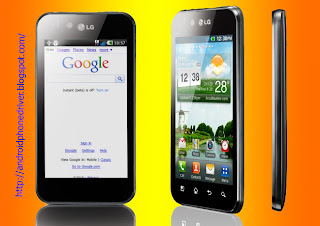 In general, at the same brightness, the screen of the LG is much more flashy than the Nexus S.
In use the screen did not appear to suffer from the phenomenon of fingerprints, in that it did not take to clean itevery 5 minutes, fingerprints making the visibility of the screen limits. So a good place for this model from LG! Like TouchWiz Layer (Samsung), you will find four large icons on the launcher, which contains seven defaultvirtual screens to set up your many widgets. Many features are included, such as pitch-to-zoom (pinch to zoom) to view all the offices and move from one to another easily. It makes you wonder if LG did not buy the solution to Samsung or its operation. The two companies are the same country, the inspiration had to be identical. For the presentation of this part we could take our test word for word from Samsung S2 Galaxy. By default, the Application Launcher displays applications as each other, positioning the end applications that you installed. First appear in the list, the pre-installed applications. This display is not suitable. Fortunately, once the application launcher ouvet, by pressing the touch button menu you can change it by selecting a horizontal list or list (as in the contacts application, where the applications are in alphabetical order). The screen displays notification icons on the top 5, to power on / off WiFi, Bluetooth, GPS, sound (vibration passage if enabled) and remove the automatic rotation. The keyboard provided in the LG-P970 is not the standard keyboard: it did not at all convinced. Nominated Keyboard LG, seizure is sometimes risky and syntactic proposals are sometimes incomprehensible.The haptic rendering is pretty average. This keyboard has several options such as can be displayed at the T9 format (not yet offer the prediction of a real keyboard T9), the opportunity to spend a touch of a keyboard azerty to qwerty even while typing this which generates some errors ... The keyboard was really a black spot in this test: This behavior really bad compared to many other smart phones, any brand. Polaris Office to read documents in Microsoft Office suite and PDF RemoteCall that allows you to be in relationship with a LG so that it helps you use your smartphone-Martshare turns your smartphone into a remote DLNA. And launching the application all materials supporting this standard will be offered and you'll be able to send reading a file from one device to another. 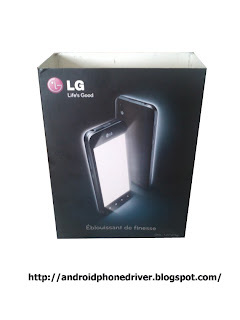 Too bad, it is not possible to send the reading of the smartphone to a device or vice versa What's new is an application that synthesizes the latest one screen telephone that you may have the last message or Facebook and TwitterApplications Facebook and Twitter are here to sauce LG: nothing special, only the title of the application changes. The question is whether they follow the same frequency of updates that the application of the two official sitesThe phone application has been reviewed graphically, but retains the same features as standard version of Android.In operation, the sound quality is very good and the caller does not seem to have any problem to get along. The contact application is actually included in the phone application. As a tab in the phone application you will be able to do a manual search by typing the first letters of the name.As with Contacts, the area to the right will scroll through the contacts quickly by selecting the first letter. Small flat in this case, the input box to search disappears. DivXThis smartphone is certified Divx HD authorizing the Divx video playback in 720p. We could not achieve all the desired tests, however, loading a divx (not HD) 720p takes no more than 3 seconds and move in the film does not cause any blocking or slowing down playback. Radio TunerBlack also has an FM tuner and FM Radio the associated application. Once the hands-free kit connected you can make an automatic tuning or manual search. Each station will be saved so you can reuse. The reception quality is quite good and the number of stations found. LG App Advisor LG does not offer its own market, but an application of recommended applications. This application will display 10 applications selected by LG. Unfortunately nothing is said about the selection criteria. 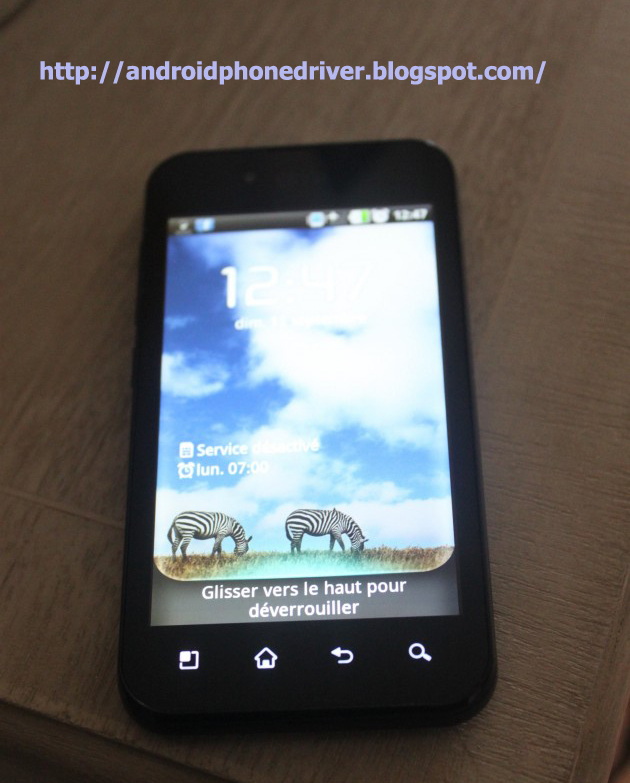 A description of the application (not necessarily in French), the average rating on the market and a button to launch the Android Market on the application form. Too often forgotten our smartphone is also used to call!At the specific absorption rate, the quality is not the most terrible. 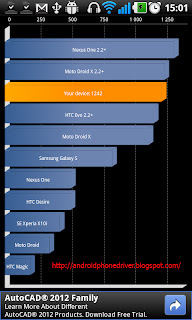 While the Galaxy SII offers 0.338 W / kg, 0.752 desire HTC LG Optimus Black displays a score by 1.270 W / kg (limit of European 2W/kg). 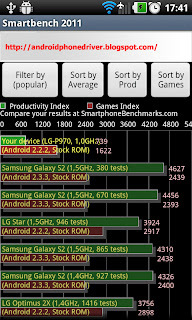 The WiFi chip is more powerful than a Nexus S. With a test with WiFi Analyzer installed on both machines, the same network and under the same conditions, the LG Black Optimus detected over the network Nexus S (almost 40% more). The browser is the same as that provided as standard in Android. Nothing to note on that side. Adobe Flash Player is installed by default on the LG Black Optimus and display of web pages seemed really fast and efficient (especially on sites with flash components). 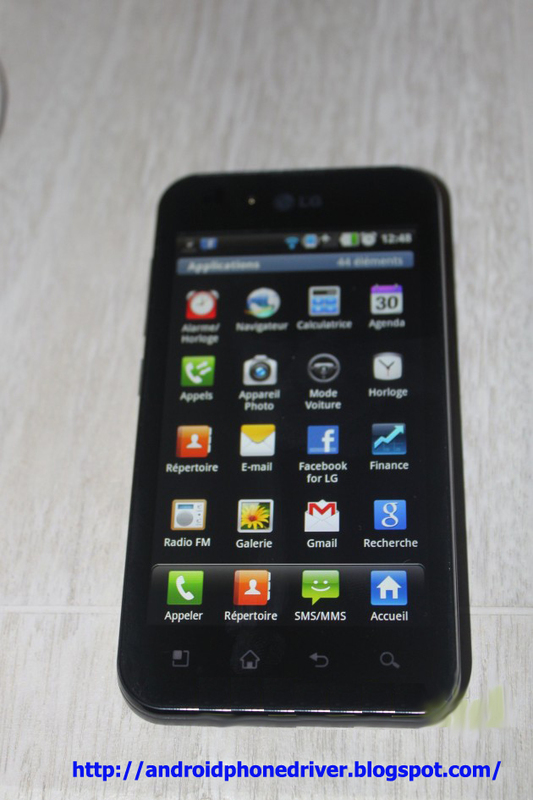 LG offers this LG Optimus Black (P-970) a 5 megapixel sensor and back to front of 2 megapixels. The pictures are OK but not great. The colors seem to lose their heat and light is often too strong. You will be able to perform zooms from the two sensors at resolutions up to 2592 x 1944 pixels and 1600 x 1200 pixels. For videos, we will go to 1280 x 720 pixels for the camera back and 640 x 480 pixels for the front. Some pictures below with the front camera and camera back. After playing a well-defined scenario for 45 minutes, the battery had lost 10% (video playback of divx 9 minutes, only GSM and Wi-Fi, MP3 playback 3 pieces of 3.30 minutes each consultation 3 pages of articlesweb, downloading a file, 7MB 3G, using Google Maps with 3D display of monuments for 1 minute and 5 minutes of reading radio). According to our calculations, the smartphone could for example bring you 7 hours of video playback before falling into the arms of Morpheus! In daily use (3G constant), the LG Optimus asked a charge after 15 hours. Pros: Screen Lightweight / Finesse DivX certification DLNA support 2-megapixel front camera radio Tuner autonomy Cons: A keyboard efficiency improved (but can be changed via the Android Market) MicroSD memory required (2 GB card included) high DAS Final note: 15/20 This smartphone is to be compared to devices that have the same processor and in this case, the device is a good product! The smartphone has a rich native software library and the contribution of the layer constructor, except for the keyboard, is to report positively. This smartphone is the general public by providing the basis for all services available today on a smartphone ina more than acceptable quality.